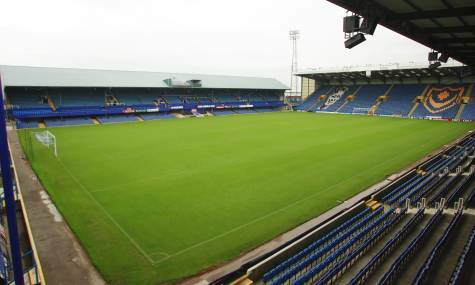 Things are going from worse to sh*te for Portsmouth FC at the moment. The south coast club currently find themselves relegated from the Premier League, mired in administration with rather large debts coming out of their ears and I’m afraid there’s even more bad news. The latest blow to beset the beleaguered club is the news today that they will not be allowed to participate in next season’s Europa League. Pompey would have qualified for the tournament next year as a result of reaching this year’s FA Cup final, as their opponents – Chelsea- are set to qualify for the Champions League. The cash-strapped outfit missed the deadline to apply for a UEFA club license that would have allowed them to play in Europe next season, but the club’s administrator had promised that they would appeal to get permission to participate in the Europa League once the club were guaranteed to qualify. This ruling means that the team who finish seventh in the Premier League – currently Liverpool – will qualify for next season’s Europe League competition. Not the biggest surprise in history to be fair. Pompey are in big big trouble.